Casey Hammond is an undergraduate student in the College, class of 2020, majoring in government and theology, with a focus on education and religious ethics. He is interested in how culture and faith affect politics and institutions, particularly how understanding such topics could yield more effective strategies for promoting peace-building and engaging in interfaith dialogue. 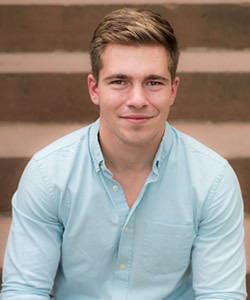 At the Berkley Center, Hammond is a student research assistant for Professor Michael Kessler and was a student fellow in the 2017-2018 Doyle Undergraduate Fellows program.